Country music artist Jake Owen speaks honestly as he reflects on the battle of juggling a musical career and parenting his daughter, Pearl. More here! 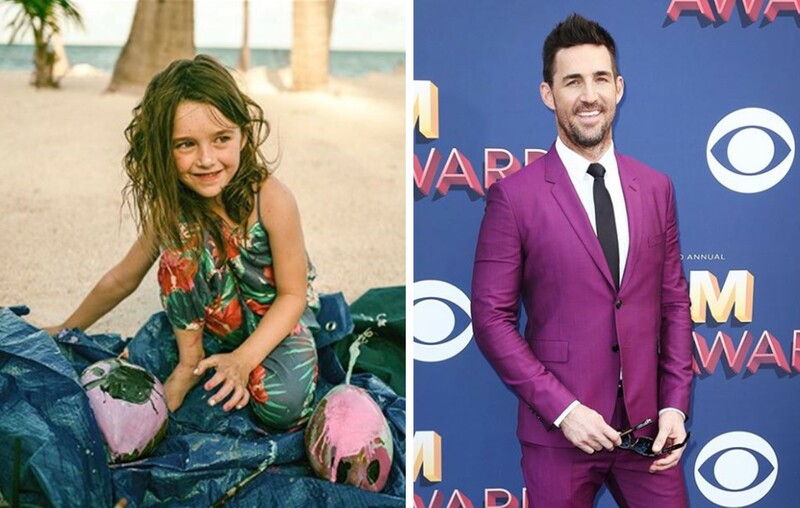 Country music star Jake Owen spends a lot of time crossing the nation on his tour bus, but thanks to his 5-year-old daughter, Pearl, he has a reason to look forward to getting home! Before fatherhood came into play, Owen never had a big reason to rush back home after playing a show. “I would watch as my band members would get off the bus and they just couldn’t wait to get home, and I never could totally understand that feeling. I could stay on the road forever, but now I totally understand what they were going through,” he shared with Taste of Country. Just like many parents (famous or not), the artist sometimes finds it extremely challenging to separate work and family— sometimes his responsibilities overlap. The Florida native recently missed a daddy-daughter dance due to a scheduled concert. “It’s not like I can turn to page 89 and figure out the best way to do that. It’s tough for me,” the star expressed about wishing that he had a manual to guide him through juggling his career and his relationship with his daughter. There’s no doubt that despite challenges, Jake and Pearl have a strong bond. One glance at his Instagram and viewers can quickly figure out the huge role she has in her dad’s life. Check out some of Pearl’s cutest recent moments below! Being on the road is an amazing job and has so many special moments. BUT, being away from my little girl when she learned to ride her bike with no training wheels today is tough! I am so excited for her and a proud Dad. Her excitement in her “Hey Daddy” made my whole week. Ha. It’s the little moments in life. The FIRST times. Cherish them. Clearly Jake is doing a wonderful job as both a father and country artist! Be sure to catch him out on the road and on USA Network’s Real Country reality competition series, which set to debut on Tuesday, November 13th.